ShadowFrog and tcudoc like this. nwlafrog, Horny4TCU, RufeBruton and 2 others like this. Oh god. Kill it with fire. nwlafrog, ATC Frog, Horny4TCU and 11 others like this. TCUdirtbag, Punter1, tcumaniac and 14 others like this. Chongo94 and LSU Game Attendee like this. Which academy? I want one because it’s funny. I want that hat. Would be great for a Super Regional. RollToad and wes like this. I’m...intrigued? I have a couple of Aggie friends I might buy that for. Baby steps. TCUdirtbag, tcumaniac, nwlafrog and 11 others like this. bmoney214, BABYFACE, tcudoc and 5 others like this. Business in the front, pity party in the back? TCU_91, Horned Toad, TCUdirtbag and 7 others like this. The Nazi's did this kind of thing with inter-species breeding. Horned Frog crossed with Sheep can only spell disaster. Can this be ordered online? 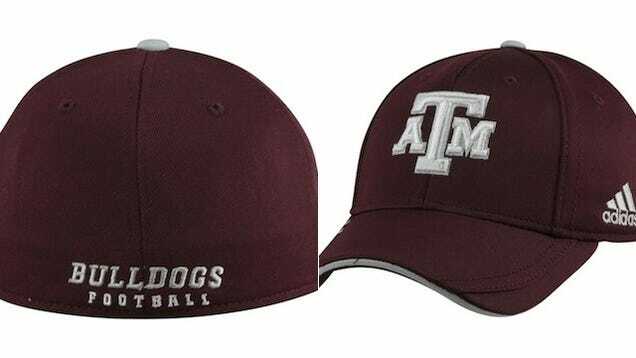 I need one for my Aggie friends! Then give it to Professor Ackall. Might get you bumped up from a C- to a.....C.